Many times I don't feel like a very compassionate person, so I love what Fr. Gaitley writes today saying that Mary will give us her compassionate heart, when I give her mine. Mother Teresa's devotion to Mary focused on this exchange of Mary's heart for mine. And Mother Teresa teaches me to pray "Mary, lend me your Immaculate heart." 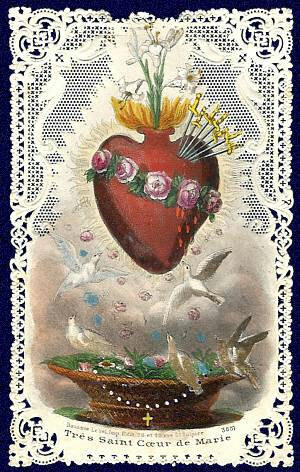 Mary's heart refers to her inner life and the seat of the indwelling of the Holy Spirit.